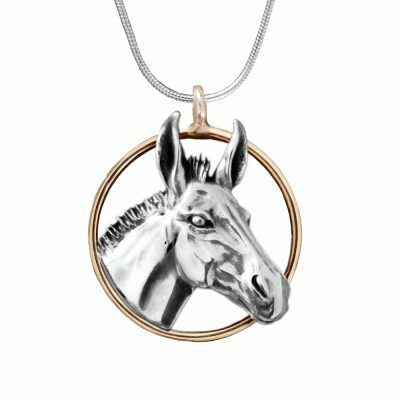 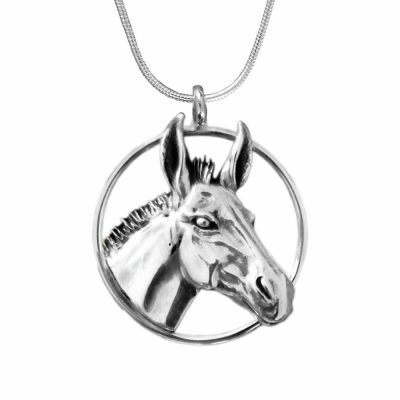 Brand new to benefit Brooke USA, this mule pendant is designed for all who love mules! 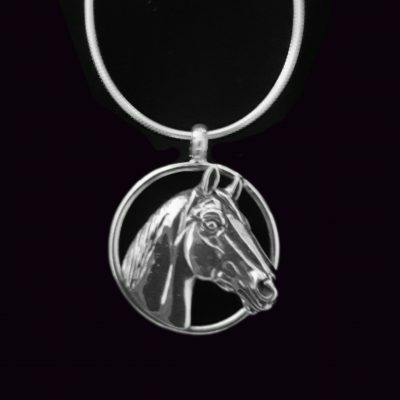 Measuring 1 1’16” in diameter, this sterling head is enhanced by a 14k handmade circle and bale. 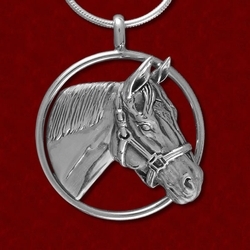 Available on a 16″, 18″, or 20″ sterling silver snake chain with a lobster clasp. 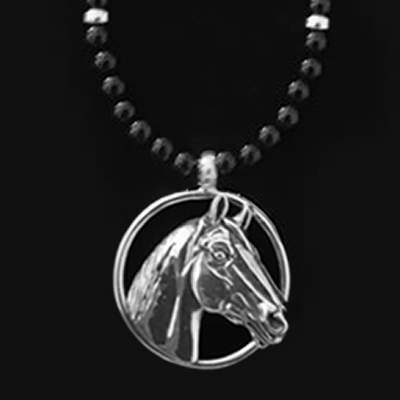 Order yours today and allow 2 – 3 weeks for delivery for this two tone design. Other sterling and gold combinations and all gold pricing available on request. 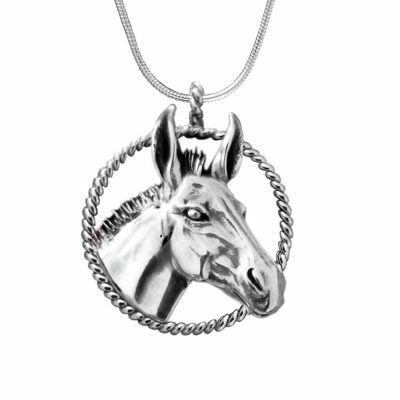 Arrives in a gift box with the commemorative card. 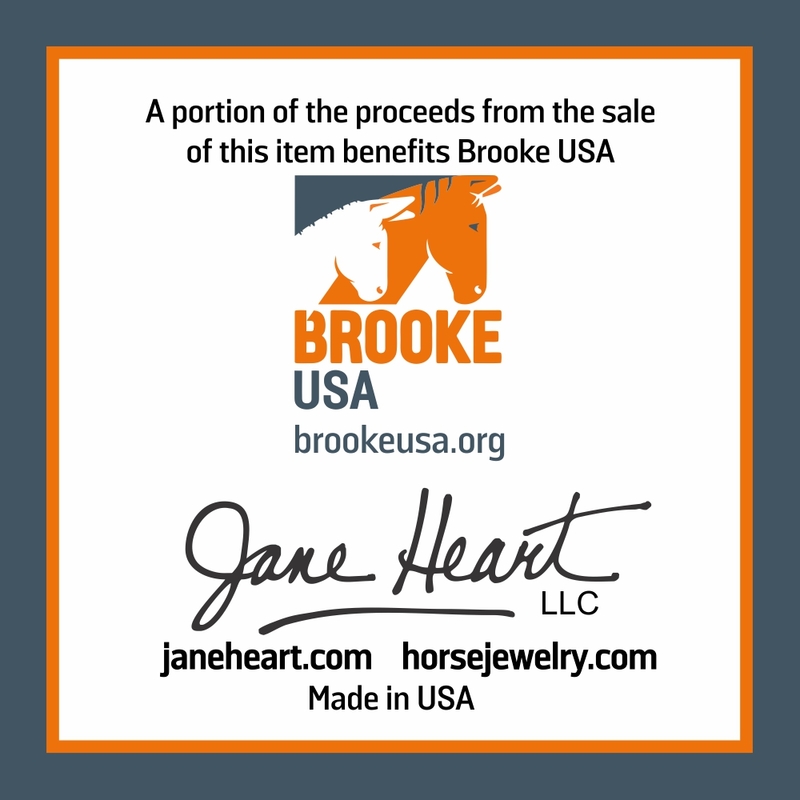 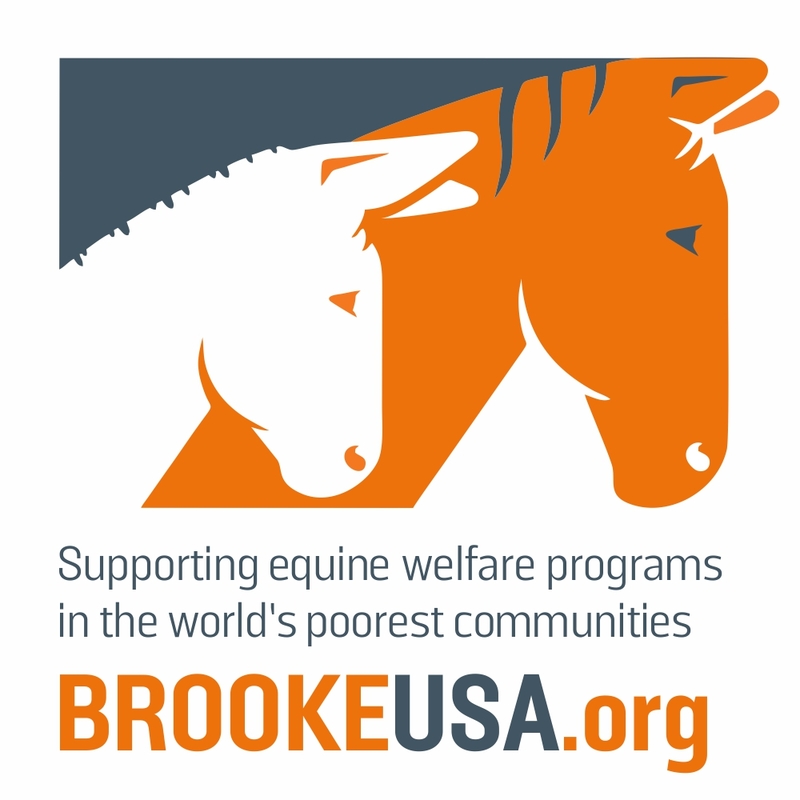 “Brooke USA is committed to significantly improving the welfare of working horses, donkeys and mules and the people they serve throughout Asia, Africa, the Middle East and Latin America by raising funds and responsibly directing them to the areas of greatest need. We focus on initiatives that promise to achieve global impact and sustainable improvement.” Visit brookeusa.org for more information.